Welcome. I am so happy that you stopped by. 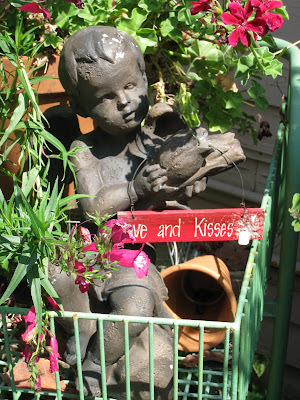 Today my friend, Cathy, who owns The Vintage Lady, is going take us on a tour of her charming and delightful vintage garden located behind her equally charming and delightful shop. 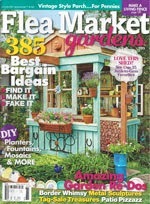 Her blue door is always open for you to come in and sit and relax and enjoy her shop and garden. 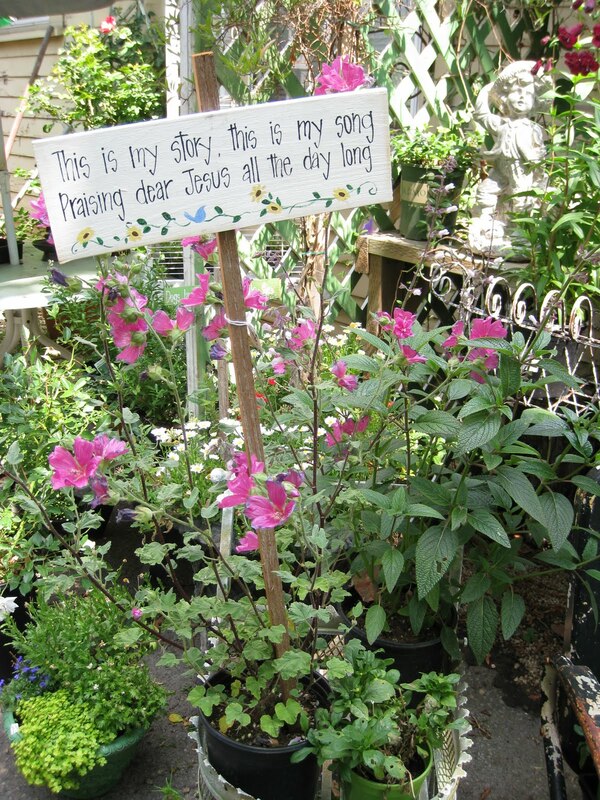 You are greeted by happy words in her shop as well as throughout the garden - both are alive with creative projects and provide a beautiful and peaceful sanctuary - Cathy feels laughter, music, flowers and prayer are essential and her Life Goals are to "dig deep - pray - expect". She will take us on a tour of her shop on another day. One of my favorite signs in the garden: "When I grow up I want to be a little girl". Everyone who tours her fun garden feels like a child again. Cathy has all of her signs custom made just for The Vintage Lady and they are all unique and originals. 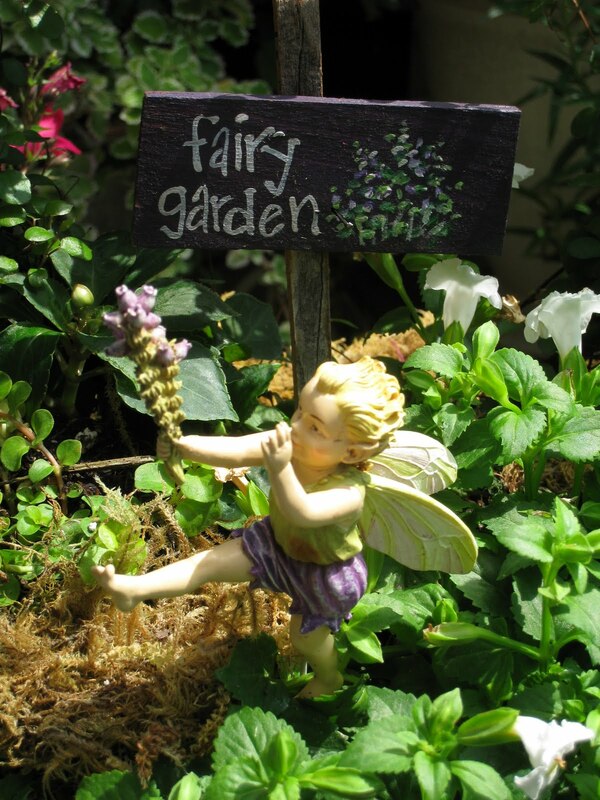 She is well known for her custom Fairy Gardens . 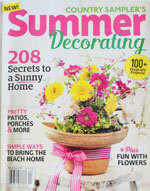 She also has fun "make-it-take-it garden container classes on special occasions. 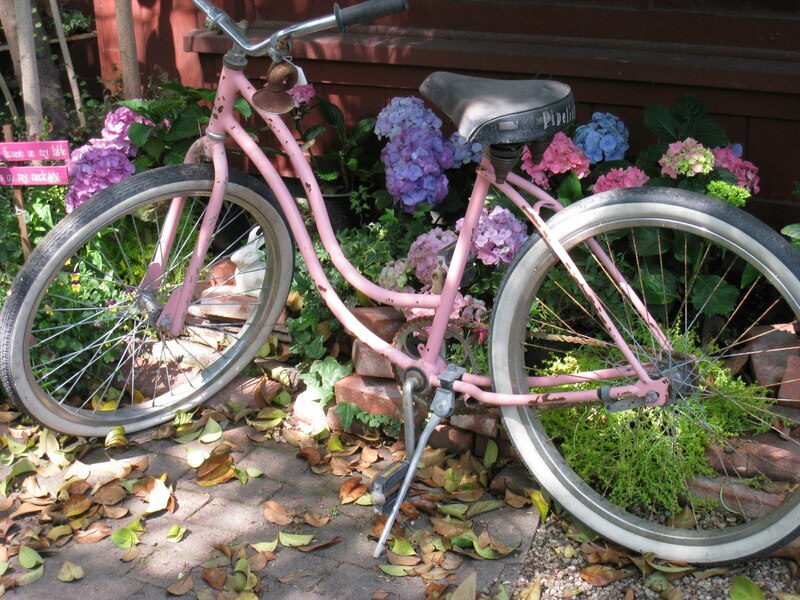 Sadly someone just stole her vintage pink bicycle. Love her old flower box with vintage iron brackets. The garden is filled with unique and charming vintage items used as containers. It is not unusual for friends to drop off old vintage items (to save them from the dump) for Cathy to give a new home. Another one of my favorite signs. Thank you for stopping by. 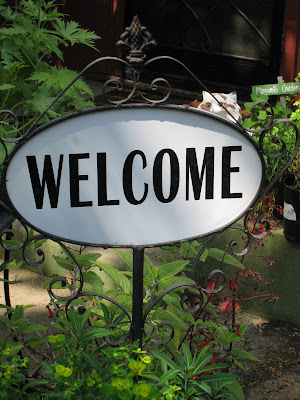 I love hearing from you and sincerely appreciate your comments, visits, e-mails and those of you who are following my blog. 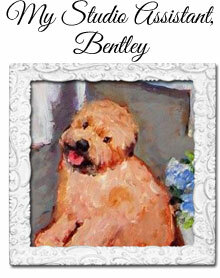 Please let me know if you have any questions or would like to see me paint something special. Your friend has a lovely shop. Thank you very much to take us on a tour of a such charming garden and beautiful shop. 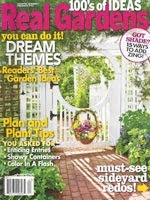 The garden looks enchanting, cosy and peacefull, inviting us to relax while reading Cathy's favorite signs. 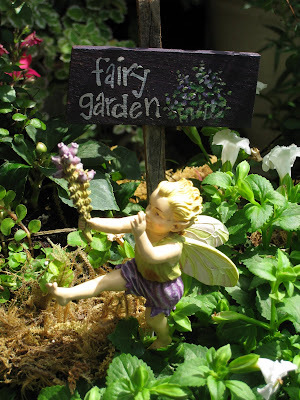 I like the idea of signs and the fairy gives it a touch of poetry. I wish I could live here to visit Cathy's shop. I wish you a nice and creative weekend. 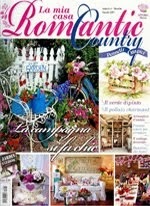 Thanks for sharing about such a charming shop! 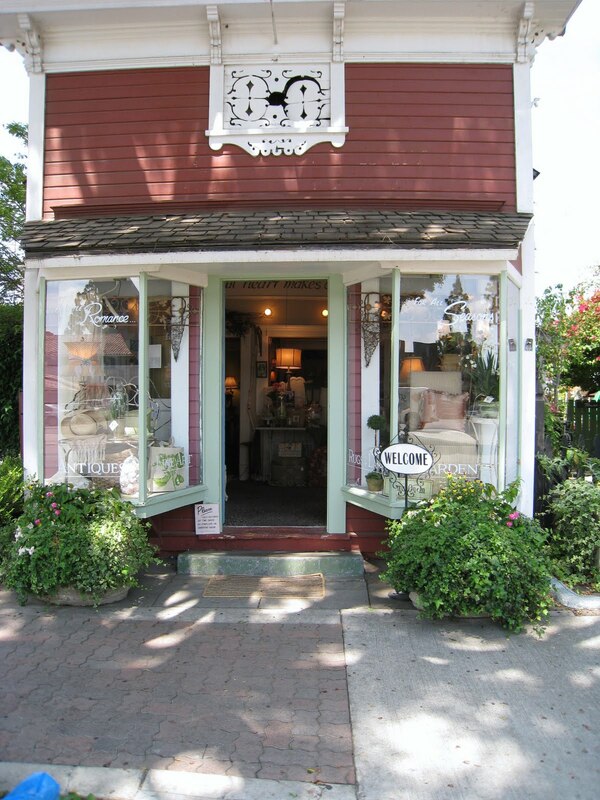 I'm always looking for inspiring shops to visit when I'm in OC and I'm sure I will visit sometime! I think you showed us the inside of this sweet shop last time didn't you Erin? The garden out back is just as pretty. 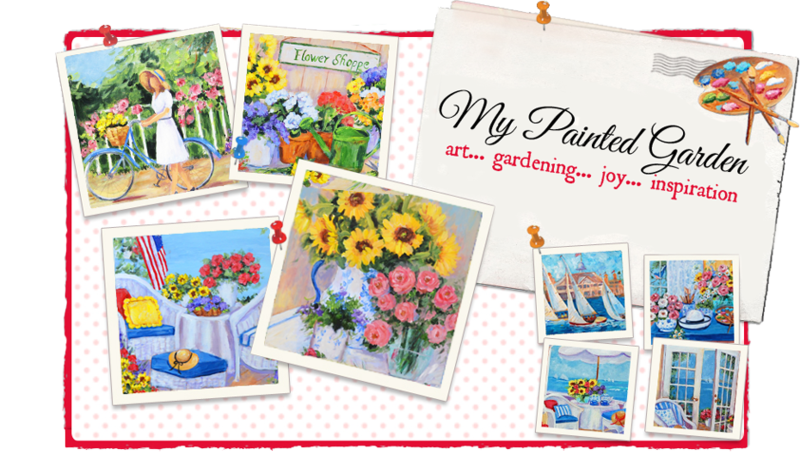 Darling, you're blog is such a inspirational blog! I really love the tour, I enjoyed looking all the flowers. 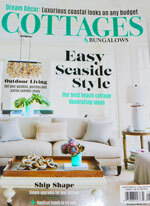 Erin, I love looking at your beautiful blog. There is always something that brings a smile to my face. Thanks for the tour, she is also very talented. Loved the inspirational signs. Have a lovely week! 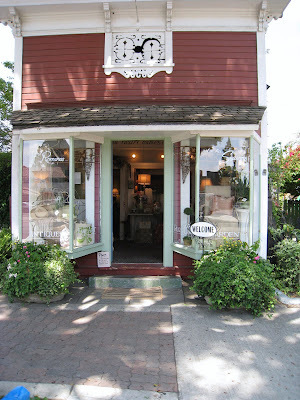 Hi Erin- thank you for the lovely tour of your friend's shop- she has a beautiful place! 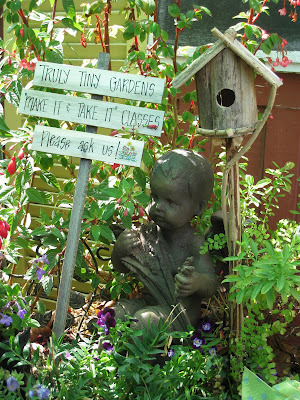 I love how she makes use of vintage treasures for her plantings! Wish I could visit in person. Ps- seriously- someone stole that bike? How mean!! Cathy's shop is so sweet. I will definitely stop in. Thanks for sharing with us Erin.